When I was living away from home at college, at the University of Richmond in the late eighties and early nineties, I would often trek (on foot) from the campus to Dave's Comic's Comic-Book Shop in a nearby shopping center. There, I would catch-up on the latest issues of Cinefantastique, Starlog, and this magazine: Epi-Log. You couldn't miss Epi-Log, because of its distinctive design. The covers always had a bright red logo, surrounded by bright yellow border. The latest issue would, I recall, literally seem to pop off the shelves, beckoning to me. I was obsessed, even at ages nineteen and twenty, with cult-television, and more importantly, the cataloging of cult-television history. 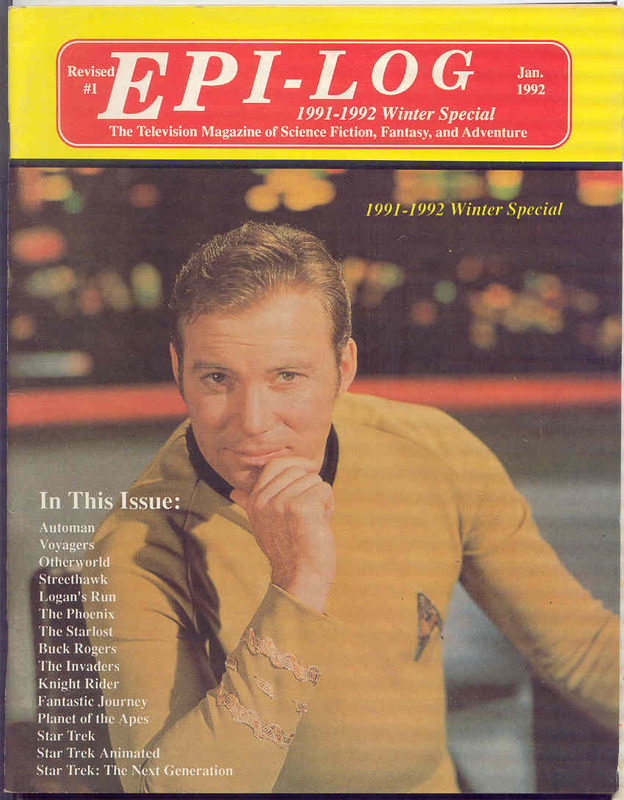 Today we have web sites, the IMDB, and other places where we can research episode titles, writers, and casts for TV programs, but in 1990 the best source for all that data was Epi-Log magazine. 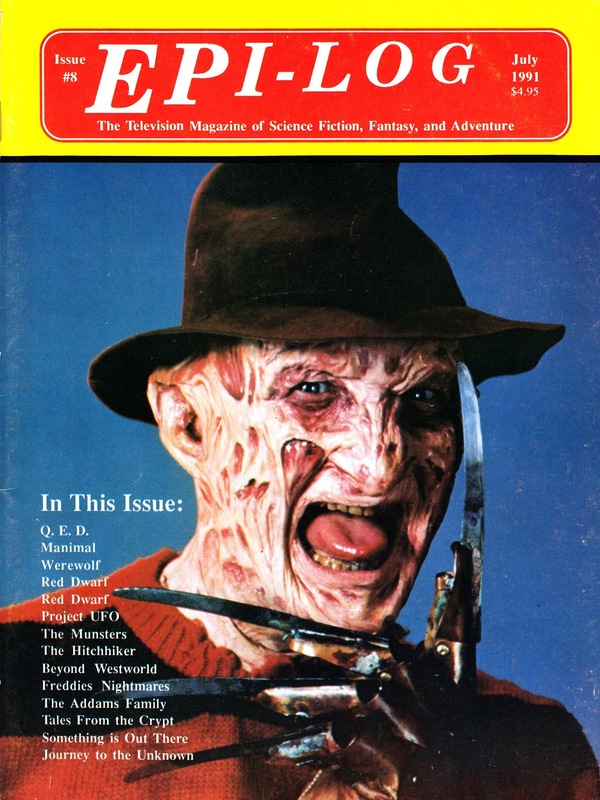 Each issue of the magazine featured several episode guides, and often grouped series together in a kind of specific theme. For example, I seem to recall an issue that compiled most of the Gerry and Sylvia Anderson series. 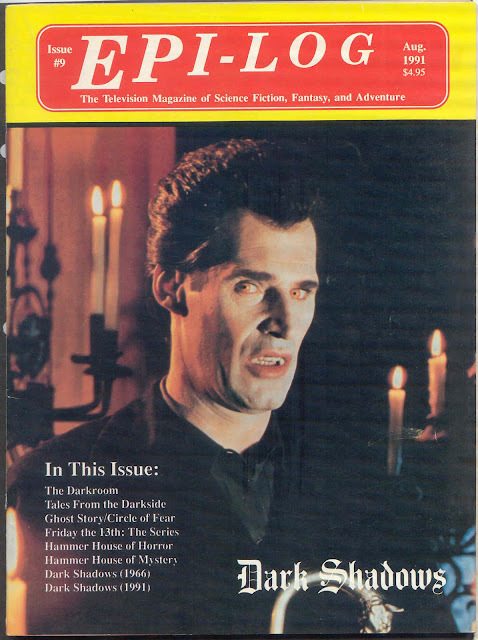 There was another issue I loved, that gazed at horror series such as Dark Shadows, and Ghost Story. Epi-Log was the brainchild of editor-and-chief William Anchor, and his Star Tech Publications. Each issue was sub-titled "The Magazine of Television Science Fiction, Fantasy and Adventure," and more than forty issues were published in all, from the years 1990-1994. Epi-Log was, for me, nothing less than a miracle. 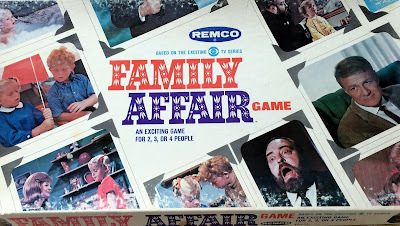 It was generally very well-researched, and it covered obscure TV series with guides that featured air-dates, titles, writers, and plot synopses. 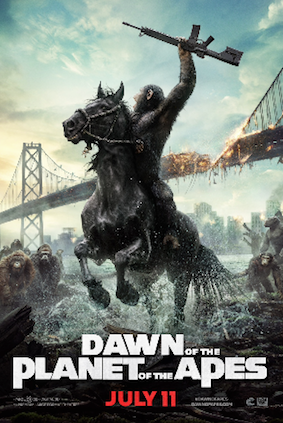 And corrections were often made in revised editions of the magazine. It's true that I rarely agreed with the publisher's commentary on specific series (he loved Lost in Space, but hated Space:1999), yet each issue provided a wealth of hard-to-find, incredible information. I found this information especially valuable while I was away at college, and not able to keep up with some TV series that I was fond of, including Beauty and the Beast (1987-1991), War of the Worlds (1987-1990), and Freddy's Nightmares (1988-1990). With these issues, I could often see what I had missed. The last issue of Epi-Log I remember purchasing at Dave's Comics was one covering the first season of Deep Space Nine (1993-1999). By the time of Star Trek: Voyager's (1995-2001) premiere, Epi-Log magazine was gone, but for me, never forgotten. I still have my collection of issues in my home office, right behind my desk. I still have my almost complete STARLOG collection and some of these memorable Epi-Log issues. Before the internet when printed catalogs ruled, I always enjoyed Star Tech printed catalogs. I loved Epi-Log. Star Tech was a good source in the late 80s/early 90s for books and other collectibles from SF shows, and I agree about how helpful Epi-Log's guides were in the pre-internet era.